In the DC comics, Mister Terrific aka Michael Holt was an African-American child prodigy. He was so smart by the time he came of age, he had degrees and doctorates in more than a dozen subjects and a Gold medal winning Olympian (There was also a previous Mister Terrific in the 1940s). 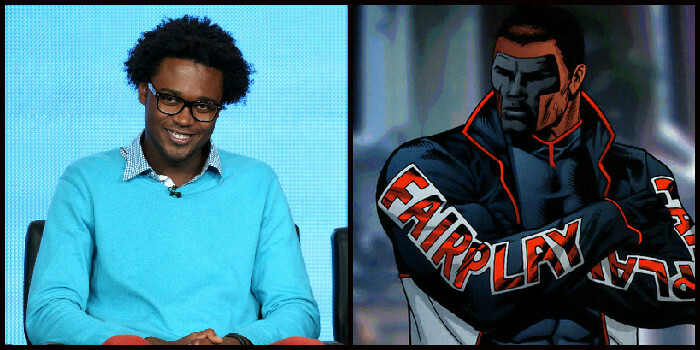 Now the character will make an appearance in the upcoming fourth season of Arrow, played by Echo Kellum. Mister Terrific on Arrow, however, will be a bit different. His name will be Curtis Holt and is described as a gifted tech wiz that works at Palmer Technologies under Felicity Smoak. Some of you may recognize Kellum from his work in the series Ben and Kate and Sean Saves the World.